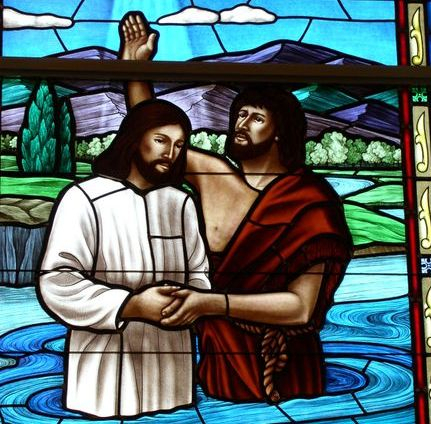 In 2003, Laws Stained Glass Studios installed (12) hand-stained glass windows at Ocran United Methodist Church in Sutherland, VA when they built their new sanctuary. The eight main sanctuary windows (size 52" wide x 142" high with a round top) contained a full-pictorial scene of the "Life of Christ". 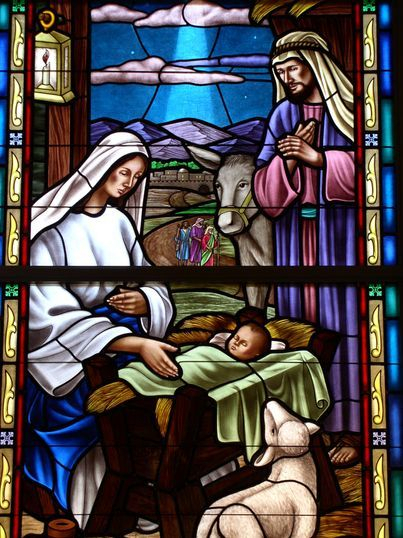 The scenes chosen were "The Nativity", "The Baptism", "The Sermon on the Mount", "The Last Supper", "The Garden of Gethsemane", "The Crucifixion", "The Resurrection", and "The Ascension". 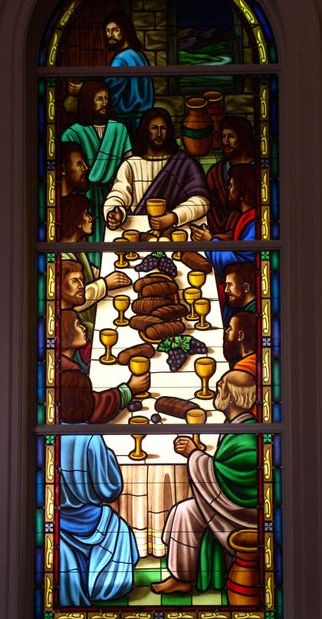 The "Last Supper" window was backlit by the church. All of these windows were installed into white aluminum frames with 1/4" Lucite acrylic on the outside as protective covering. 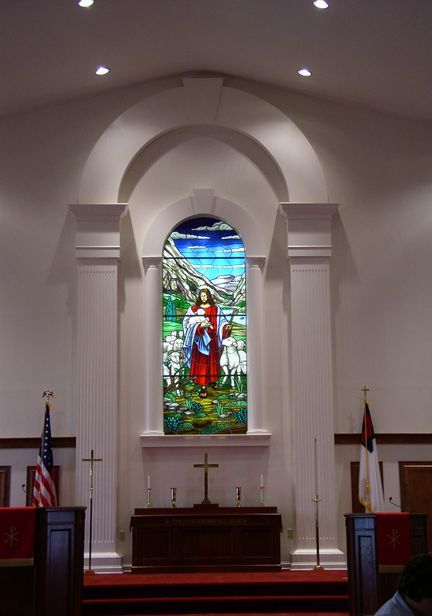 Behind the pulpit, Laws installed a large "Good Shepherd" window (size 54" wide x 140" high with round top). This window is also made of hand-stained glass. It is backlit by a light box. On the outside facing the road, Laws installed three windows that are only visible from the exterior. 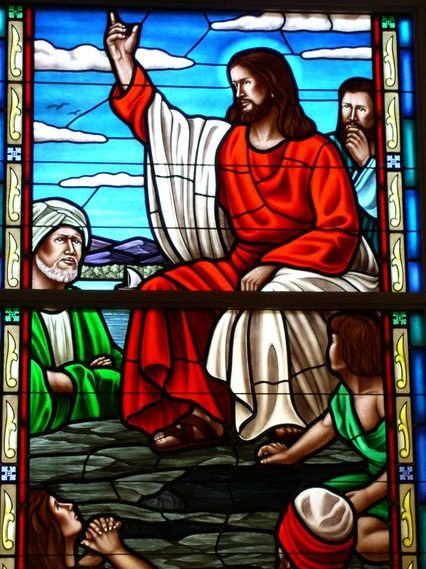 The middle window (size 108" wide x 120" high) is a full-pictorial scene of "Christ Come Unto Me". 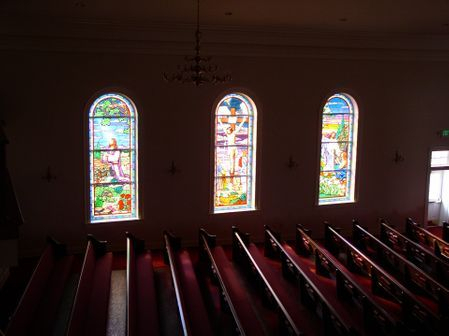 The two windows (size 52" wide x 126") on either side are made of hand-stained glass and have symbols in each one. All three of these windows are backlit so that they can be viewed in the evening or at night. 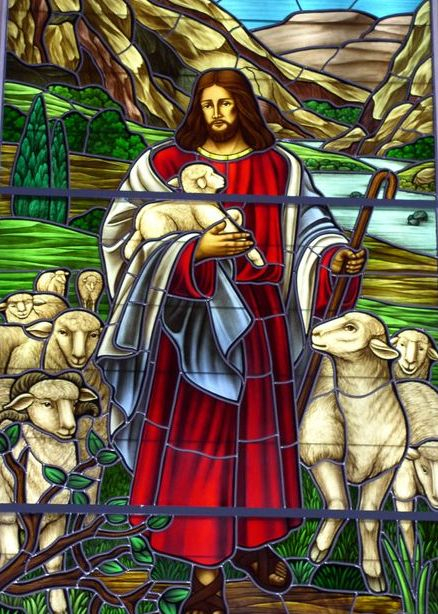 "The Good Shepherd" window behind the pulpit. It is lit by a light box. Hand-stained glass window with the scene of "The Nativity"
Hand-stained pictorial glass window of "The Crucifixion"
Hand-stained pictorial glass window of "The Resurrection"
Hand-stained pictorial glass window of "The Last Supper". Note that this window was backlit by the church.